Playtech is a brand name any enthusiastic online casino player is familiar with since it stands for one of the leading casino software developers in the industry and has become synonymous with quality, integrity, and reliability. The company was established back in 1999 and quickly succeeded in cementing its position of a trusted gambling software supplier. The software developer offers a wide range of casino products, including a sportsbook and bespoke poker, casino, bingo and live dealer offerings. The developer is highly praised by slot fans the world over as its gaming portfolio spans a plethora of premium-quality slot titles ranging from classic, 3-reel options to the hottest multi-payline titles which impress with superior visuals, enticing sounds, and user-friendly interface that allows for easy navigation. However, it is the company’s progressive slots that enjoy the greatest popularity among players and there is a good reason why. Playtech has developed over sixty progressive slots which often generate jackpots that are impressive in size, to say the least. It is precisely those titles that can transform the lives of lucky players overnight. If hitting a life-changing jackpot is what you are after, we suggest you take a look at the following article to learn more about Playtech’s progressive jackpot slots. A short while ago, it was Playtech’s Marvel-branded progressive slots that enjoyed the greatest popularity among players as these were all linked in a network, so that all titles contributed to the accumulation of the pools. 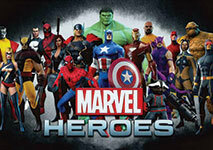 However, after Playtech’s Marvel Comics license expired, the progressive slots from the series were taken down and are no longer available to players. The good news is Playtech has decided to rebrand the slots from its Age of the Gods series in place of its old Marvel titles. The aforementioned Age of the Gods titles are actually replicas of those from the developer’s Marvel collection. The only difference is the games are based on a different theme as the Age of the Gods titles were inspired by ancient Greek deities. Other than that, the slots have the same interface, betting limits, bonus games, and special features, not to mention the jackpots are accumulated in the same manner. Some of the most popular progressive slots from the Age of the Gods series include King of Olympus, Prince of Olympus, Goddess of Wisdom, Fate Sisters, Furious 4, and the eponymous Age of the Gods. These are linked to the same jackpot network, which is to say all titles from the series contribute to the pools’ accumulation. Each time a player makes a bet and hits the Spin button of one of these slots, the jackpot increases incrementally. A small percentage (0.99% to be precise) of each bet made on any of these slots is subtracted and goes towards the overall pot. This percentage is divided between four different jackpot levels – the Power, the Extra Power, the Super Power, and the Ultimate Power Jackpots. Each of the four jackpots stands for a different amount, with the Ultimate Power Jackpot offering the biggest prize, which may reach a seven-figure sum. Once a player succeeds in unlocking the bonus game that awards the pot, they are guaranteed to collect one of the four progressive prizes. The said bonus game loads in a separate screen and features twenty coins that are facing down. The player needs to click the coins to flip them over and reveal three matching symbols. The symbols differ and correspond to each of the four progressive prizes. Note that the Age of the God bonus game features a time-out timer. If you fail to flip the coins within the designated time, they will be turned over automatically, awarding you with the corresponding jackpot. When one of the four jackpots is won, the entire process starts again from a predetermined amount called a seed. Each of the four Age of the Gods jackpots seeds at a different amount. Each of the four progressive prizes is triggered at random so there is no way for players to know when the jackpot will hit. 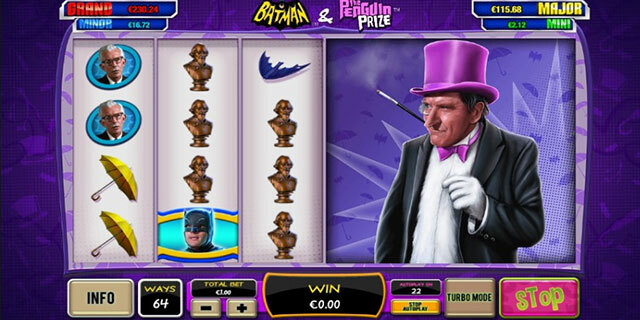 Fans of comic series and super heroes are not left without options when it comes to winning a huge progressive jackpot by spinning the reels of Playtech slots. 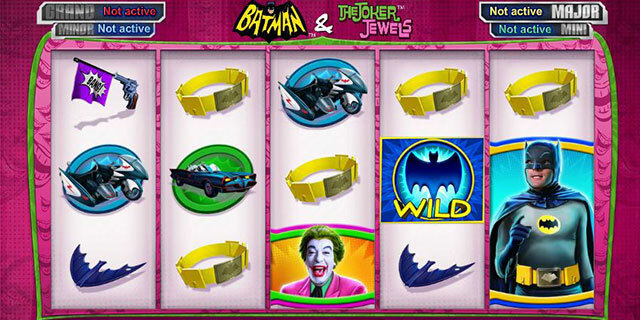 To compensate for the loss of the slots from the Marvel series, Playtech sealed a licensing deal with Warner Brothers, allowing the software developer to introduce slot titles that are based on well-known superheroes from the DC comics. Many online casinos running on Playtech software have added the supplier’s DC-based progressive titles. 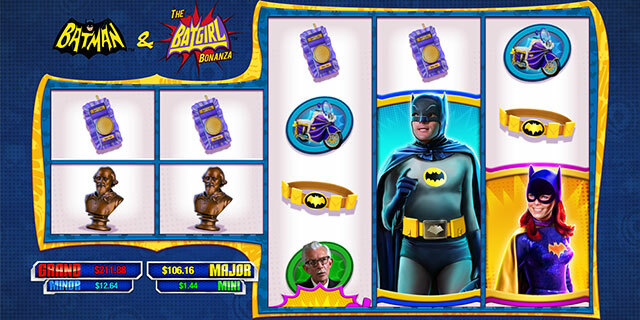 Popular options include Green Lantern, Batman and the Batgirl, Batman and Mr Freeze Fortune, Batman and Catwoman Cash, Batman and The Joker Jewels, Batman and The Penguin Prize, Man of Steel, Superman, and Batman and The Riddler Riches. 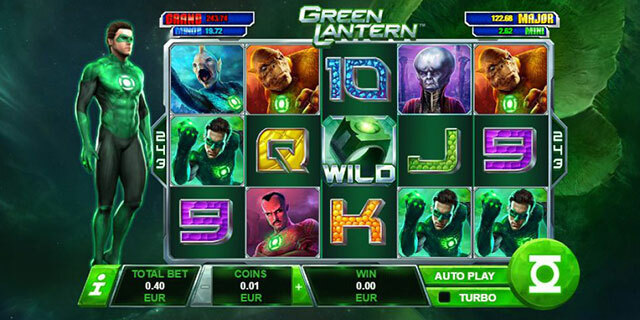 Similarly to the slots from the Age of the Gods series, all DC-inspired titles are linked to a progressive jackpot network, so that each wager made on any of the slots contributes to the accumulation of the pot. As a greater number of players contribute to the pot’s accumulation, the progressive prize tends to increase at a rather rapid pace. You can see the sum displayed on the games’ jackpot meter increasing by the split second. 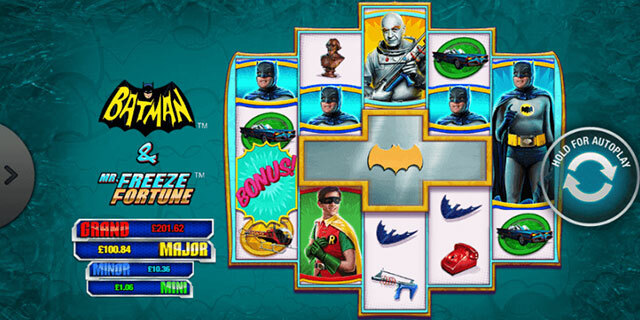 Similarly to the Age of the Gods slots, those from the DC series have four different progressive prizes to offer, only they go by different names – Mini, Minor, Major and Grand Jackpots. Again, these are triggered at random after players succeed in unlocking the bonus game where they get to claim one of the four progressive prizes. Other than that, DC comics fans can expect nothing short of spectacular graphics, fantastic sound effects, smooth gameplay, and lots of great features. 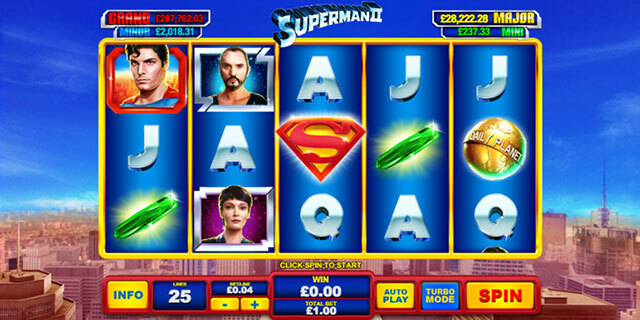 All slots from the DC Super Heroes series have flexible betting limits, which renders them suitable for all kinds of bankrolls, big and small. What is more, the slots utilize the lucrative 243 Ways to Win format, which allows players to form more winning combinations since the identical symbols do not necessarily have to land on any active paylines in order to pay. To turn a profit, players are required to simply hit a given number of matching symbols on adjacent reels. 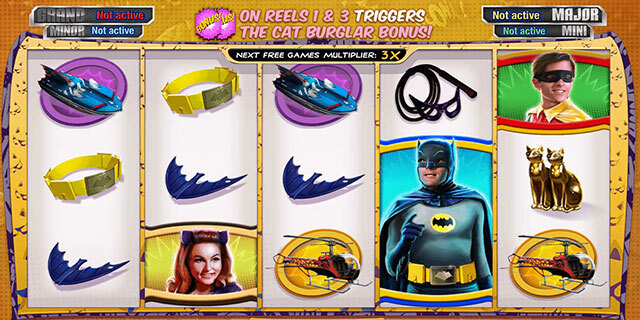 Other lucrative features include the wild and scatter symbols, rounds of free spins, and bonus games with multipliers. Of course, it is the multi-level progressive jackpots that all slot fans are after. The four mystery progressive jackpots can be won on any given spin, regardless of the amount players have bet. This applies in full force to spins which have resulted in no other wins whatsoever. However, players should bear in mind that the higher the wager, the greater the chances of winning one of the four jackpots. 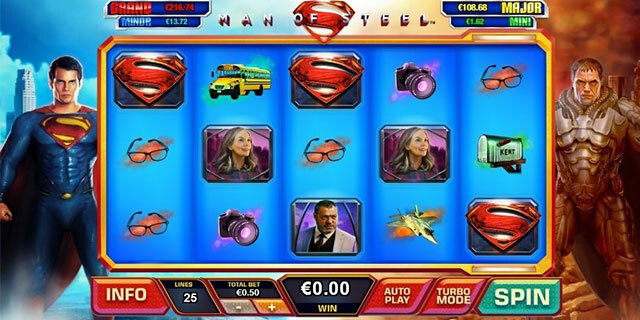 Apart from the DC Super Heroes and the Age of the Gods slots, players can also collect a substantial amount of money by spinning the reels of one of Playtech’s Asian-themed progressive slots. Some of the Asian-themed titles include Geisha Story, Zhao Cai Jin Bao, Wu Long, and Silent Samurai. These were all upgraded to feature a progressive jackpot and pose as a celebration of Asian culture that comes in the form of fantastic graphics and authentic sound effects to fit the theme of each game. 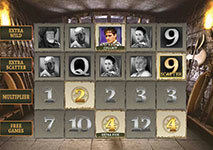 All slots from the series offer five reels but the number of paylines varies between 9 and 25. The same applies to the betting limits each game incorporates, so it does not matter whether you intend to play on a budget or can afford to bet more coins of higher value per spin. 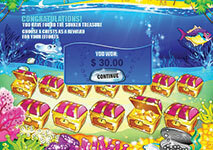 Each title comes with game-specific features including free spins, bonus games, multipliers, wilds and scatters. Needless to say, the progressive jackpots hold the greatest appeal for slot fans. Triggered randomly, the progressive prizes can hit at any stage of play, regardless of the spin result or the amount players have bet, although making a larger stake increases the probability of landing the jackpot. The jackpots are awarded via bonus games, which differ depending on which slot you play. For instance, the Wu Long slot utilizes a Wheel of Fortune mini-game where players are granted a single spin of the said wheel to determine which tier of the four progressive prizes they will collect. 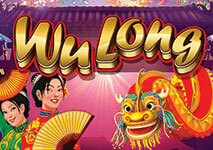 The Golden Dragon jackpot is the most appealing prize as its pot starts seeding at $20,000. Geisha Story is yet another attractively presented Asian-themed slot which offers a hefty progressive prize. However, the bonus game that potentially can lead to the substantial prize is quite different from what slot fans are normally used to as the slot features the so-called dollar ball, positioned in the upper right-hand corner of the screen. Do have in mind that once the dollar ball feature is on, each spin to follow will cost you more than the regular spins. Each following spin will bring a lottery draw and you will see numbers 1 through 49 listed on the screen. The goal is to select five numbers that match those from the lottery draw. If you succeed, you scoop the hefty prize. Players, who match only four numbers, will be awarded 1% of the progressive jackpot. Players are expected to first enable the dollar ball feature in order to qualify for the pot. Below, we have listed four progressive slots by Playtech which offer life-changing prizes and are linked across all web-based casinos running on the reputable supplier’s software. This allows the progressive prizes to accumulate at a shockingly rapid pace, so the pot usually reaches a six or a seven-figure amount. Jackpot Giant has captured the hearts of slot fans the world over and the huge progressive jackpot is hardly the only reason why. This 5-reel slot comes with a total of 50 paylines and offers a wealth of extra features designed to reward players and boost the game’s entertainment value, which by the way, is already high enough as it is. This masterfully developed slot was inspired by the stone age and incorporates suitable symbols the likes of gems, volcanoes and of course, the eponymous giant, who is ready to reward players by showering them with coins. Some of the additional features include stacked wilds, scatters, and a bonus game that involves players picking three out of six volcanoes to collect various monetary prizes. Yet, it is the jackpot most slot fans are aiming for. The massive prize is triggered at random whenever players succeed in landing five wild symbols on the 1st payline. Slot fans are expected to play the maximum bet across all available paylines in order to qualify for the progressive prize. If you are a fan of the epic Gladiator movie, this Playtech creation will certainly appeal to you. In addition to having a good deal of fun, you might end up collecting a handsome amount of money. This is a 5-reel slot with a total of 25 adjustable paylines. As becomes evident by the name, the game is based on the Oscar-winning motion picture and utilizes symbols such as Emperor Commodus, the gladiator Maximus, the Coliseum, and a gladiator mask. Slot fans will benefit from a wide range of extra features, the likes of scatters, wilds, bonus games, and the so-called Gamble functionality that can potentially double their winnings on previous spins. The progressive jackpot is unlocked whenever players succeed in hitting the gladiator mask symbol on reels 2, 3 and 4. A bonus game will start, where players need to pick nine helmets of different prize values. The player, who succeeds in selecting nine gold helmets, will walk away with the colossal progressive prize. 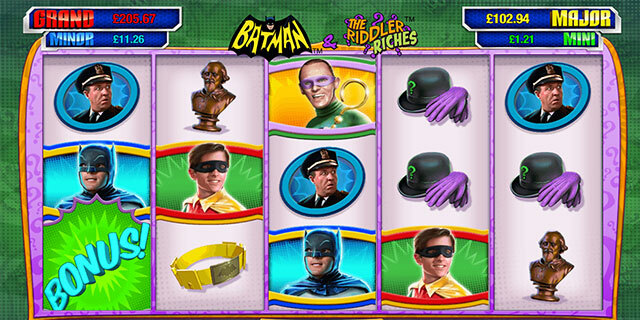 The name of this slot is indicative enough of what fans can expect in terms of graphical presentation and theme. This 5-reel game is available across both desktop and mobile devices and utilizes a total of 20 adjustable paylines. The game recreates the vibrant and fun atmosphere of summertime and utilizes symbols like ice creams, scuba divers, surfers, and popsicles. The game incorporates a number of great additional features and special symbols, including the sandcastle scatter, a treasure chest bonus symbol, and the sun symbol which functions as a wild, counted as any other symbol except the scatter and the bonus ones. As a matter of fact, the sun is the most important symbol in Beach Life as it is the key to unlocking the huge progressive pot. Players are required to hit five sun symbols on the 20th payline to earn the life-changing prize. If the five sun symbols land on any of the other 19 paylines, the winner will be rewarded with 10,000 coins as a consolation prize. Gold Rally is considered a more suitable option for players who prefer to indulge in traditional slots as it is more simplified in terms of visuals and gameplay, especially when compared to Playtech’s most recent creations. However, simplicity by no means can be deemed a disadvantage in this case as Gold Rally is a great choice for those, who lack previous experience on the slots but are aiming for a nice progressive prize. The latter is usually rather generous as it is online casino operators that contribute with seed money into the pot. The game is played across 3 reels and features 8 paylines. The slot revolves around gold mining, which, to be honest, is a rather suitable theme given that there is a good chance of players ending up with full pockets. Do not let the simplified interface and the three reels fool you. 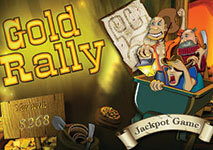 Gold Rally certainly does not lack in extra features as players will benefit from scatter symbols and bonus rounds. What is more, the game has been optimized for mobile devices running on iOS and Android, so you can enjoy it on the move. The progressive jackpot is triggered whenever nine gold-scale scatter symbols appear on the reels at the same time. However, players need to bet the maximum number of coins per spin in order to qualify for the fantastic progressive prize. You will not be left empty-handed even if you fail to land all nine scatters on the reels. Those, who hit a minimum of five scatters, will have their line bets multiplied between 5 and 200 times.